OLD PARKED CARS. : 1987 Nissan Stanza GXE Sedan. 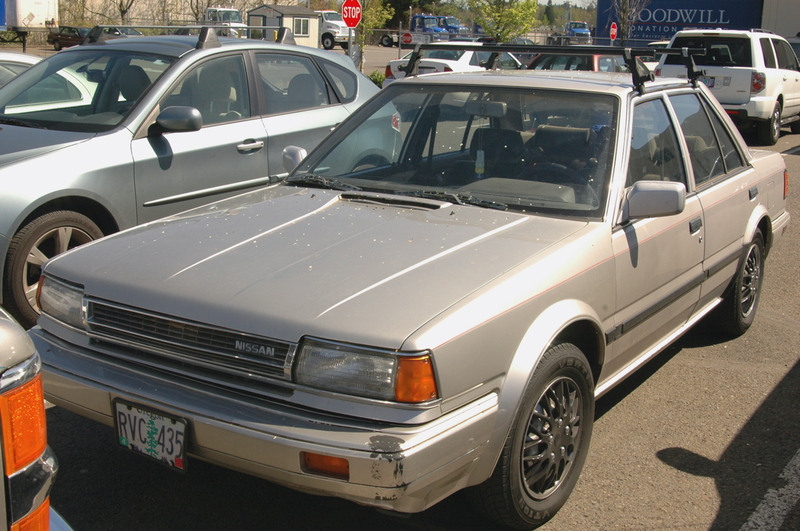 1987 Nissan Stanza GXE Sedan. My grandpa owns this exact car in teal. It is in perfect condition and a funny sight to see. A rare sight in the Midwest. I used to think I wanted it when he stopped driving, but I think I have lost interest. It really is a boring car. I just retired his previous car, a '81 Datsun 810 Maxima. That one was more interesting. I can't fathom taking a picture of one of these, let alone with those meshie hubcaps. can't fathom? 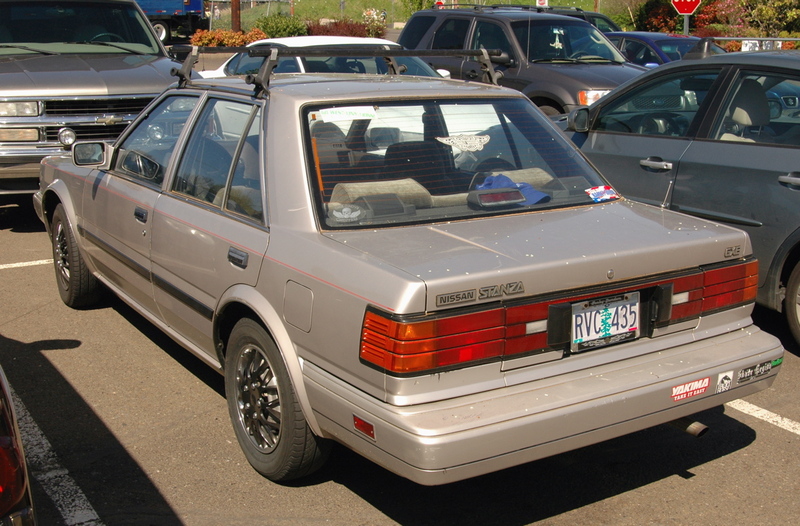 you didn't even know the stanza was available as a sedan! These are rare, there's a light crap brown one still buzzing around here. Almost every one of these i've seen seems to have those faux meshie Walmart hubcaps, haha. My wife had one of these when we got married. Such an anonymous car to look at, inside and out, and to drive. Guess what? I own one now. Had it for 15yrs,and its still running. I have the same car to but cant find parts for it .